The Insurance field is complex and diverse in nature, and you mat have so many projects ongoing pertaining to claims, audits, litigation, risk assessment and compliance - just to name a few. You worry about asset management, credit controls and regulatory reporting. In addition, you have ever-growing data and communication services, process-improvement efforts and business analyses on going. And you are doing all this in Excel?!? 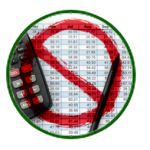 Our customers have told us repeatedly that spreadsheets are not working for them when it comes to storing baseline data, calculating critical paths, tracking resources and automatically creating Gantt charts and dashboards. That's why we have developed Project Plan 365, that does all of that and more with ease. Project Plan 365 comes with an intelligent and powerful number-crunching engine that any actuary will appreciate, and unlike other online PM tools, we can how you where waste is occurring. Critical paths are automatically highlighted within your plans, as are comparisons between baseline data for money spent on project work. Look, you spend a ton of time specifying, predicting, and evaluating, so why should your project management tool do anything less? And speaking of spending, by purchasing Project Plan 365 instead of the competition, you will spend far less and get much more than anything else on the market today. Who else supports the direct opening of Microsoft Project files (.mpp)? No one that we know! Who else provides project teams with their own secure and private cloud storage for sensitive plan data, that can be updated in real-time by concurrent users? Again, no one that we know. As an insurance leader, you rarely work alone on new projects, if ever. When interacting with with your project team, you may be separated by state lines or even continental divides, but that does not mean you have to work separately when designing or implementing a new project. Your team can collaborate in real-time, using a technology that we lovingly call rTc, or real time collaboration. With rTc, your team directly inputs the progress of work assigned. Then, as the plan manager, you are freed up from the laborious tasks of tracking the progress of work yourself; that responsibility is placed where it should be. In other words, you let the numbers come to you, where it is no harder than having your associates tap in project updates on a tablet or smartphone. 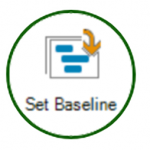 Associates, stakeholders, team players all can update their %completes in so you will always have the numbers you need. Based in Dublin, Renaissance Reinsurance of Europe was incorporated under Irish law in 1998. For the past 25 years, RenaissanceRe has been delivering reinsurance solutions and building partnerships. RenaissanceRe is a leader in providing property catastrophe reinsurance and specialty reinsurance coverage to insurers and reinsurers for the European market, and now has three satellite offices in the USA. So how can RenaissanceRe's USA teams communicate and collaborate with the mothership in the EU? Enter Project Plan 365, project management software that allows teams located in different geographic locations and distant offices to design, schedule and manage project management tasks in a super efficient way. Say that RenaissanceRe wants to centralize cost operations between US and EU offices. That's a big project plan, with lots of moving parts. But for Project Plan 365, that's just another walk in the park, as Project Plan 365 has solutions for one team or dozens, no problem. Using the Business (PMO) plan, the US teams can work on their consolidation plan together, and by upgrading to Enterprise (EPM), both the EU and US teams can work on the same consolidation plan - all at the same time - with no collisions whatsoever. 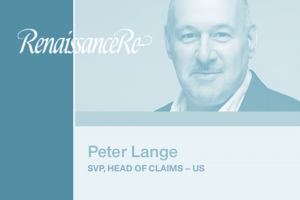 Best of luck Peter, we are rooting for RenaissanceRe to break 3bn in yearly M&A transactions soon! Turbocharge your banking & finance plans by using one of ours: Individual (PM), Business (PMO) and Enterprise (EPM) subscription plans are available here.